A JERSEY THAT CELEBRATES SPAIN'S SOCCER STYLE. 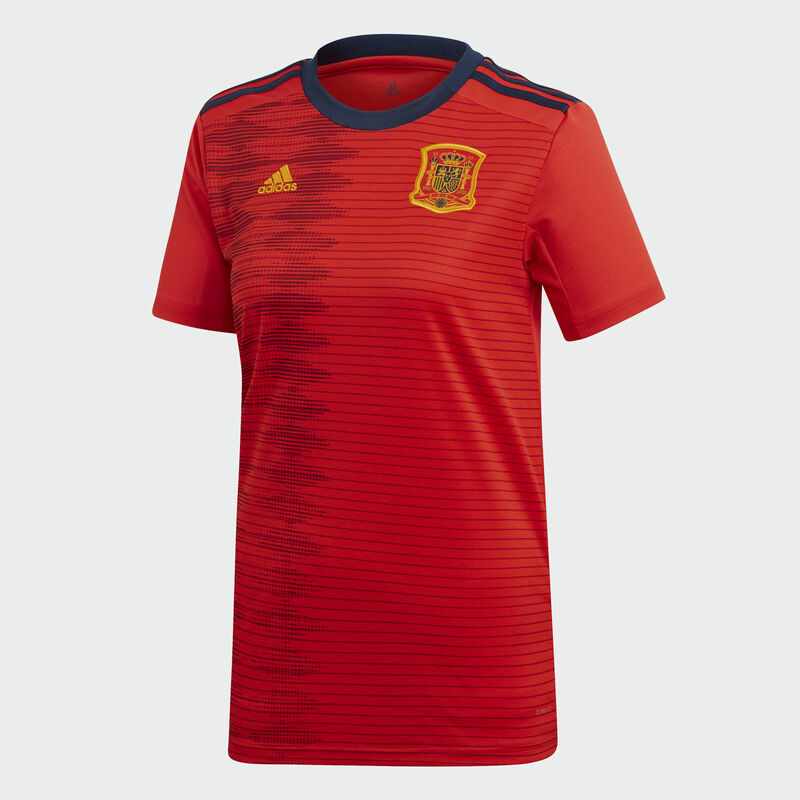 Part of Spain's official uniform, this soccer jersey is what the women's national team will pull on as they create their next chapter in France. The design propels Spain's dominant style into the future with subtle tweaks to a legendary look. It's made from soft fabric that wicks away sweat from your skin. A woven badge sits over the heart.